Ewan McGregor, Jim Carrey, and Rodrigo Santoro reportedly caused a stir when they popped in to South Beach’s Halo Lounge off Lincoln Road for Edison Farrow’s Martini Tuesdays this week. 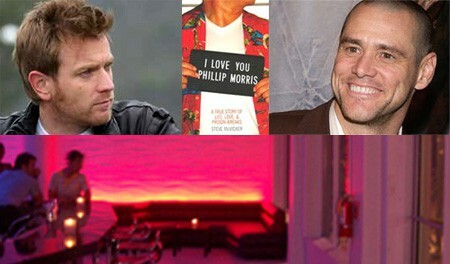 While none of them drank martinis, (McGregor drank Champagne, Carrey drank water, according to the Miami Herald), they apparently used the visit to do research for their upcoming film I Love You Phillip Morris, a true story about a married father/conman who finds himself in the Texas prison system where he falls in love with his cellmate. I’m not sure what that has to do with drinking martinis with a bunch of South Beach gays, but if McGregor walked into my bar I surely wouldn’t have a problem with it.